Technical Specifications Model- Chem-77 Function- Chemistry Method Photometry: End point, fixed time, kinetic, serum blank, Bi-chromatic, two reagent, multi-point etc. wavelength- Chemistry: 340,405, 492,510, 546,620,670nm. Others on request request Cuvette- Flow through cell, direct reading and coagulation cuvette avaible Sample Volume- 50-500 pl Incubator- 2 reagent and 20 sample incubation positions, controlled at 37±0.5°C Temp. for cuvette- 37±0.1°C Drift- 0.0001 OD/hr Quality Control- Quality control for normal and abnormal value, automatic statistics and analysis of control data Display- 7 inch, colour touch screen Storage- 1,000 test results Printer- Built-in thermal printer Connection port- USB & RS232 Language- English, Spanish, French, Russian, Portuguese, Others on request Power- 110V/60hz, or 220V/50Hz 150w Dimensions- 340mmX380mmX210mm Weight- 6.5 kg Test Menu Chemistry: Kidney function, liver function, cardiac markers, minerals, blood disorders, blood lipid, drug of abuse, miscellaneous, etc. • TransAmerica reserve:; the right to change the technical specifications without prior notice. FEATURES: Detects all the 11 subtype of HBsAg. Antigen Sensitivity- 0.5 ng/ml. No sample preparation required. See through Device for easy result interpretation. Shelf life-18 months at 2-8°C. 100% Sensitivity & 99.4% Specificity by WHO Evaluation. USES: HEPACARD is visual, rapid, sensitive and accurate one step immunoassay for the qualitative detection of Hepatitis B surface antigen (HBsAg) in Human serum or plasma.The assay is intended to be used as an aid in the recognition and diagnosis of acute infections and chronic infectious carriers of the Hepatitis B Virus(HBV). FEATURES: Based on “Flow Through Technology”, which is similar to Elisa technology because of involvement of washing steps at various levels to enhance the specificity. Use of highly purified HCV antigens for Core, NS3, NS4, NS5 immobilized on the device. Detection of all the subtypes of HCV. Results within 3 minutes. In built quality control dot which validates the test. 100% Sensitivity & 98.9% Specificity as per WHO evaluation. Shelf life : 15 months at 2-8°C USES: The 4th Generation HCV TRI-DOT is a rapid, visual, sensitive and qualitative in vitro diagnostic test for the detection of antibodies to Hepatitis C virus in human serum or plasma. It has been developed and designed with increased sensitivity for core and NS3 antibodies using a unique combination of modified HCV antigen. 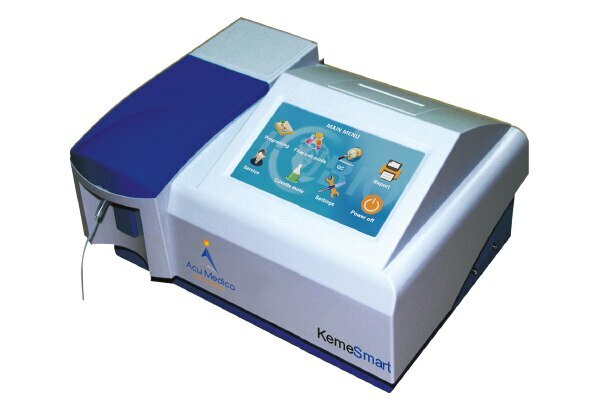 FEATURES: Rapid visual test , based on Flow Through Technology. Differential detection of HIV-1 & HIV-2. Detection of group ‘O’ & subtype ‘C’. Use of envelop antigens gp41& C terminus of gp120 for HIV-1 & gp36 for HIV-2. 100% sensitivity & 100% specificity as per WHO Evaluation. Shelf life 15 months at 2-8°C Available in convenient pack sizes-10 Tests, 50 Tests and 100 Tests. Results within 3 minutes. No instrument required. In built quality control dot. USES: The HIV TRI-DOT test is a visual, rapid, sensitive and accurate immunoassay for the differential detection of HIV-1 & HIV-2 antibodies (IgG) in human serum or plasma using HIV-1 & HIV-2 Antigens immobilized on an immunofiltration membrane. The test is a screening test for Anti HIV-1 and HIV-2 and is for in vitro diagnostic use only. Microscope Standard:- Description:- Standard Microscope is widely used in different laboratory research works. These are appreciated for features like a compact design, great performance and user friendly functions. Our ranges of standard microscope are made from supreme grade material with advanced features. They are sturdily constructed and are made as per international industry standards and are very easy to operate and maintain. Main features of the Microscope are : Tube with mechanical tube length 160mm with triple revolving nose piece Separate coarse & fine adjustment Square stage with clips for holding the slides Double lens bright field ABBE condenser NA 1.25 is fixed with the stage with iris diaphragm and swing out filter holder Illumination by plano concave mirror.